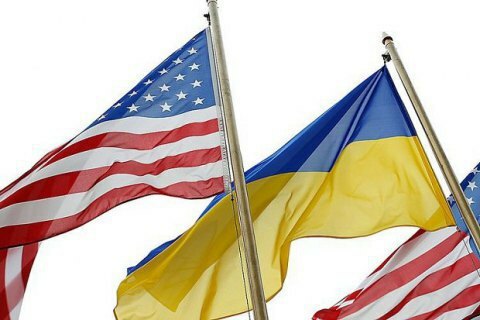 Ukraine and the USA launch cyber dialogue. The USA will provide over 5m dollars in new cyber assistance to strengthen Ukraine’s ability to prevent, mitigate, and respond to cyber attacks, the US embassy in Kyiv said in a statement on Monday, 2 October. "The United States and Ukraine conducted the first United States-Ukraine Bilateral Cyber Dialogue in Kyiv, Ukraine, on 29 September 2017 [...] The dialogue strengthened whole-of-government bilateral cooperation on cybersecurity and cyber policy matters," the embassy statement reads. "Recognizing the important nature of cyber threats, participants shared approaches on organizing cybersecurity policy structures and cyber incident response procedures. They discussed ways to protect critical infrastructure and military systems, and exchanged views on cyber confidence building efforts at the Organization for Security and Cooperation in Europe. Participants also reviewed ongoing US cyber assistance efforts in Ukraine." The US delegation was led by Special Assistant to the President and National Security Council Senior Director for International Cybersecurity Policy Joshua Steinman, Deputy Assistant Secretary of State for Cyber and International Communications and Information Policy Robert Strayer, and Deputy Coordinator for Cyber Issues at the Department of State Mic‎hele Markoff. The US delegation also included representatives from the Departments of State, Treasury, Defense, Justice, Energy, and Homeland Security, as well as the Federal Bureau of Investigation. The Ukrainian delegation was led by Deputy Foreign Minister Vadym Prystayko and included representatives from the National Bank of Ukraine, Ministry of Defence, National Security and Defence Council, State Security Services of Ukraine, State Service for Special Communication and Information Protection, and Ministry of Foreign Affairs. Ukraine over the past year withstood several powerful cyber attacks. Late last year, the computer networks of a range of Ukrainian energy companies and government agencies have been compromised. An even more fierce attack in June paralysed the work of government and private offices.